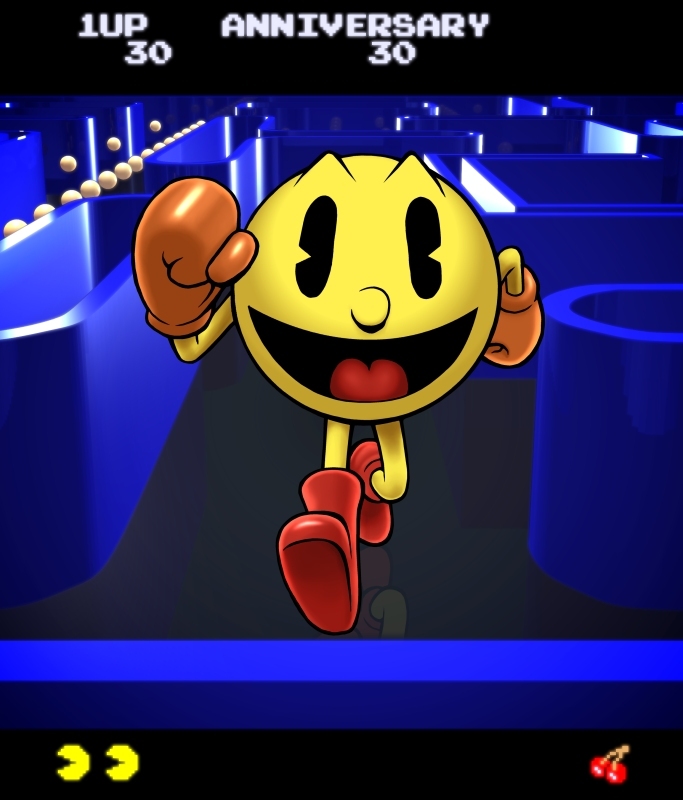 Just a quick pic made to celebrate Pac-Man's 30th anniversary. I used a resized, cleaned screenshot of the maze, used the "trace bitmap" feature in Inkscape, imported it into Blender. I didn't have time to get the maze's lines the way I wanted them in Inkscape so I kept the angle low so you couldn't see how crappy it is. Pac-Man's lines aren't 100% cleaned but I straightened a few things out before coloring it.